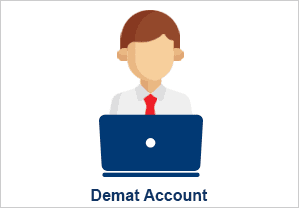 An all-in-one trading account that allows you to invest in equity, initial public offerings or IPOs, mutual funds, equity and currency derivatives instruments. 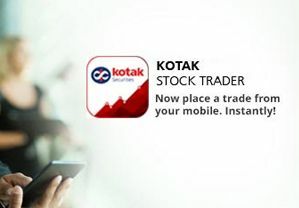 Trade on the go with the Kotak Stock Trader app - a mobile trading software that brings live stock market news to your palm through your smartphone. Kotak Securities was founded in 1994 as a subsidiary of Kotak Mahindra Bank and is proud to be the nation’s best broker* today. 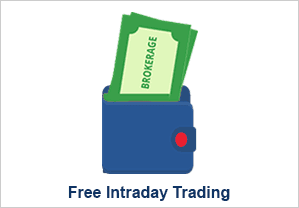 We are corporate members with the Bombay Stock Exchange and the National Stock Exchange. We are also a depository participant with National Securities Depository Limited (NSDL) and Central Depository Serv ces Limited (CDSL). Trade in the Stock Market, invest in IPOs, Mutual Funds or Currency Derivatives using whichever mode that suits you best. 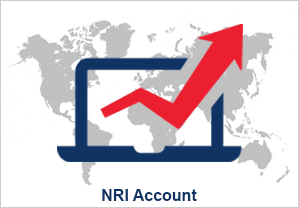 Online, offline or even on our stock trading app, we offer stock trading at your fingertips. Not sure of what stocks to buy or sell? Unable to keep all your investments in one place? Don’t know how to make your money work for you? Our Portfolio Management Service with expert advice is just the answer for your woes. 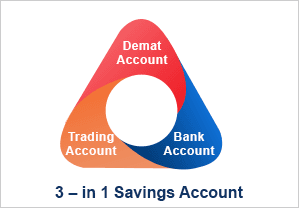 Kotak Securities is not just a stock broking firm. We are also participants with depositories like the NSDL and the CSDL. That means you can now execute transactions using our stock broking services and settle your trades using our depository services! 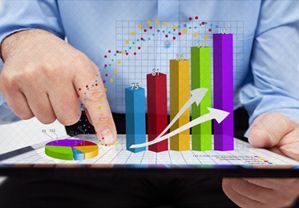 Benefit from in-depth stock market analysis thanks to our dedicated research division. We publish various sector-specific research, company-specific research, macroeconomic studies, fundamental and technical analysis of stocks that you can avail before investing your hard-earned money. Apart from research that we offer, you benefit from the street smart tips, up-to-the-minute market information and inside news that our extensive sales teams deliver on a daily basis. Your financial interests go beyond India? Don’t worry, so do ours! Kotak Securities has a well-entrenched presence in the Asia Pacific, European, Middle Eastern and American markets. You can trust us with your money in any part of the globe.